You've done it again! Beautiful Linda!!! Holy Cow! I think I'm in love. Wow! This project looks right up my alley, but I bet you could guess that, right? 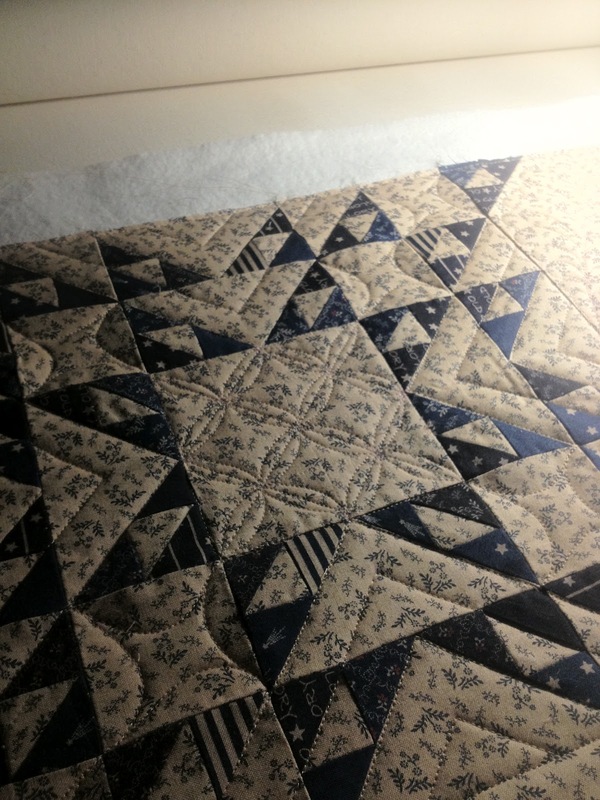 Congratulations to the piecer and the quilter. That is stunning. wow! beautiful work. truly amazing. 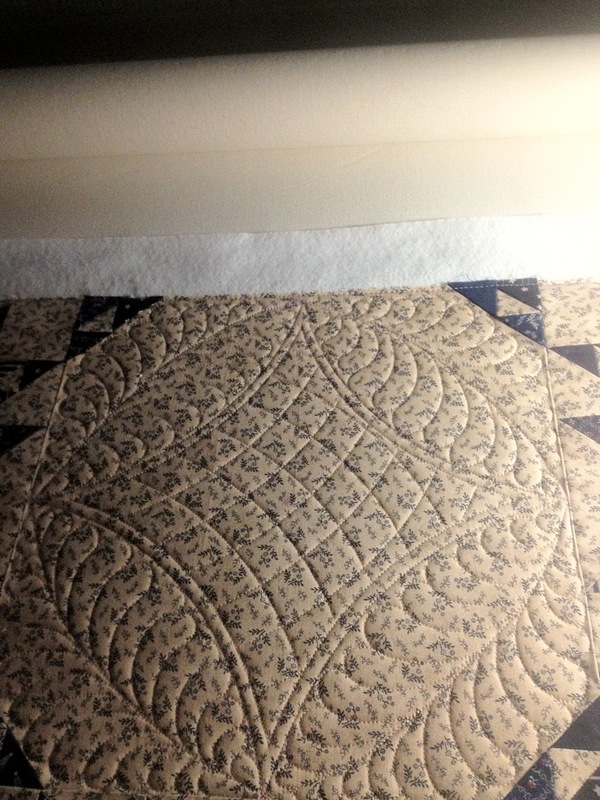 Gorgeous quilting!! 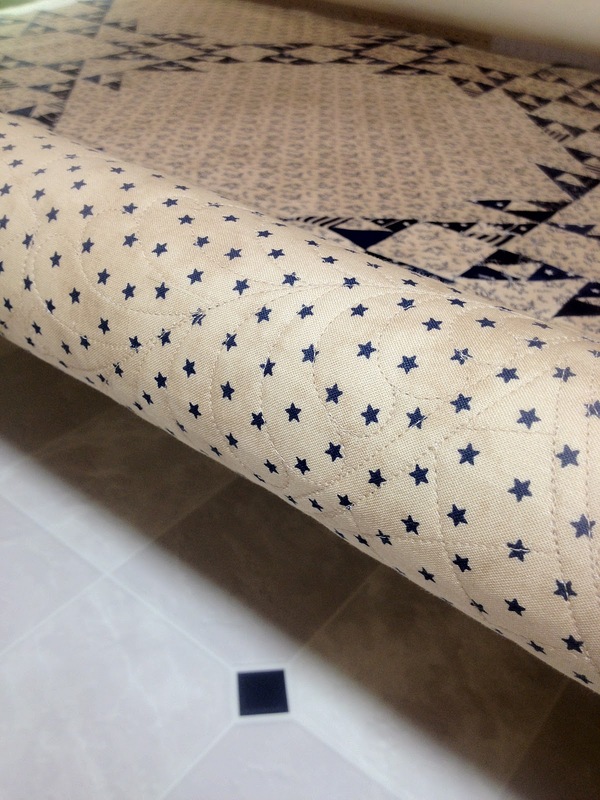 It really brings the quilt to life and gives it an exquisite antique look. Wow, was für ein Traum. Ich liebe Blau-Weiße Quilts. Super schön!!! Stunning! I can't get over what you can do. Exquisite work! Hope Lisa has this quilt at her booth in Atlanta this fall! You both did a great job! 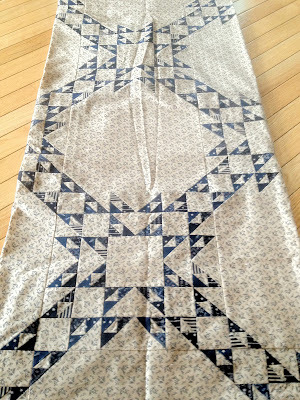 That is gorgeous, the design, the fabrics and your quilting has made this my favorite so far. Beautiful job Linda!! 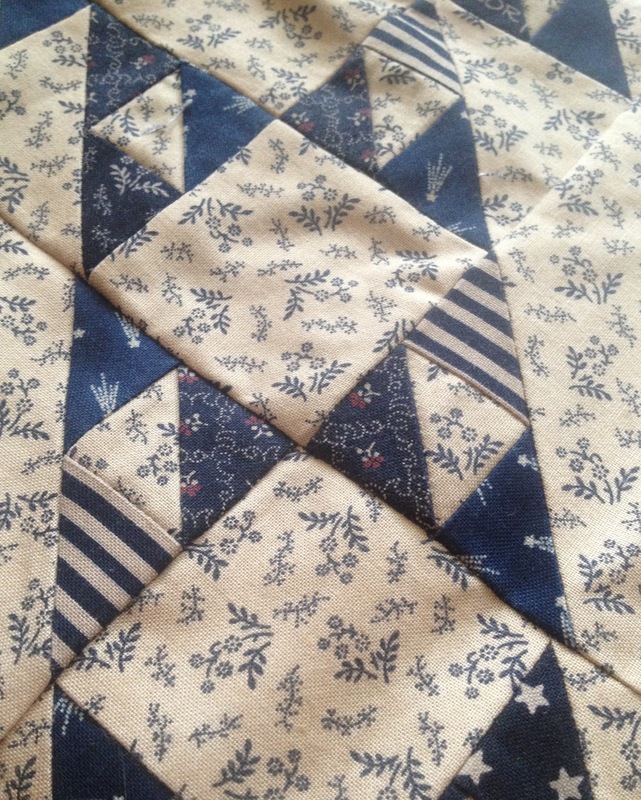 The quilt is gorgeous. 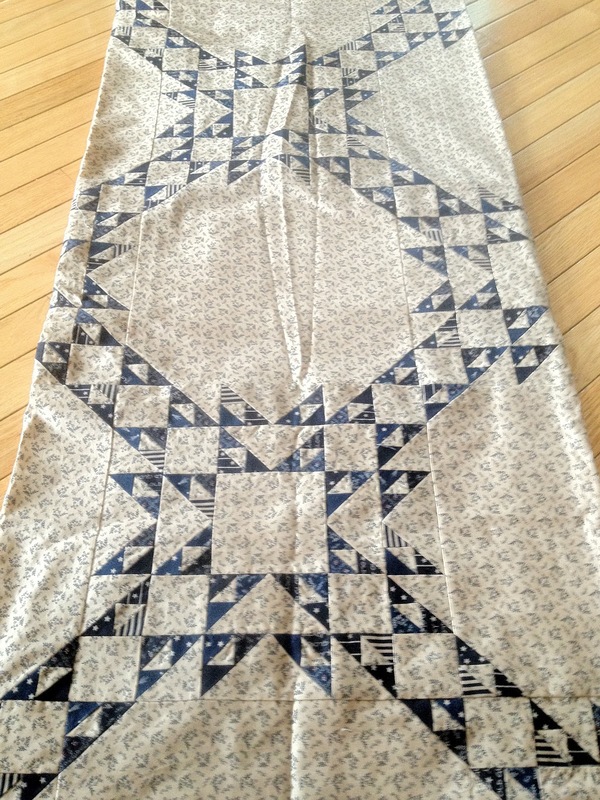 Gorgeous quilt, absolutely stunning quilting!! I'm totally in live with this quilt and your quilting!!! I can't wait for that fabric to come out also! Linda, I'm at market and our booth looks at your quilting. It's absolutely stunning! Lisa just raved about you! Good job there! Jaw-dropping, drop dead gorgeous quilt - this makes me wish I was a great piecer! 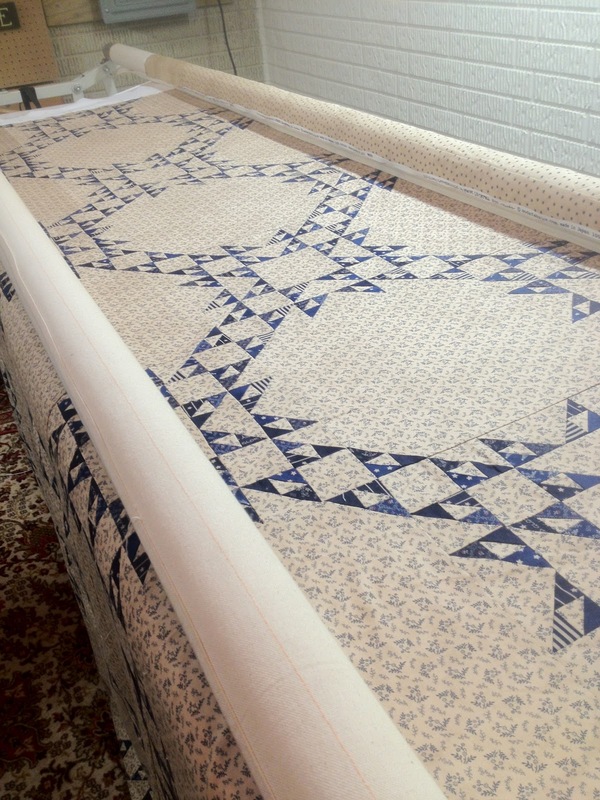 It's beautiful even before it was quilted, but Linda, you lifted it to such a level, I feel like I need oxygen! Absolutely wonderful. 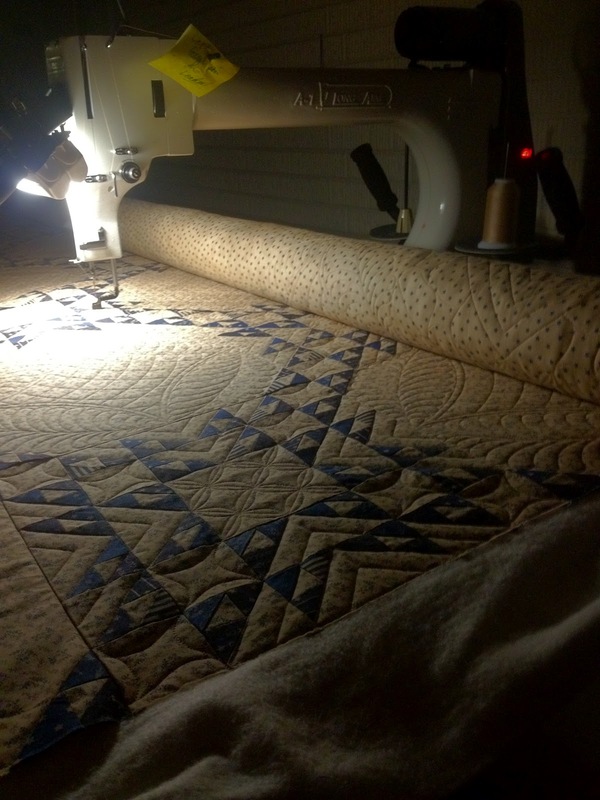 Your quilting is just gorgeous. Lisa's quilts and your quilting are a wonderful combination. Eye candy indeed. It is just wonderful. You can pull an all-nighter and still do work that is this fantastic?!!! Beautiful - both your work and this quilt. I am amazed at how creative some people can be! Great job, has such an antique feel. I have been drooling over the work you do. Can't wait until my quilt is up for you to quilt it. Just stunning. Hope your daughter is feeling better today. It's beautiful! I love it! Well done. I think I saw it at market. I wish I had known. I would have photographed it for you in the booth! I hope you got some booth photos of it! What a stunner! 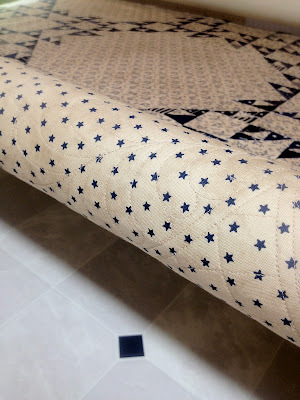 If I were to design a quilt I would have liked it to be this one - and the quilting is to die for. BEAUTIFUL! 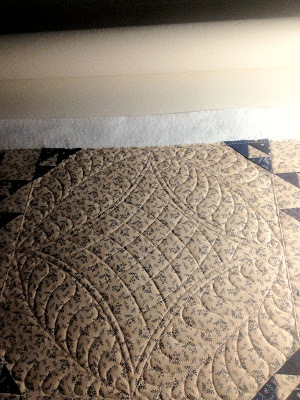 Your quilting is stunning, it really gives a wonderful finish to an awesome quilt. Just perfect.